It’s Not Trash Designs is the ultimate in small green business and artisanal awesomeness, and building their site was a ton of fun. It’s Not Trash recycles wood and turns them into beautiful bed frames, as well as furniture of all kinds. 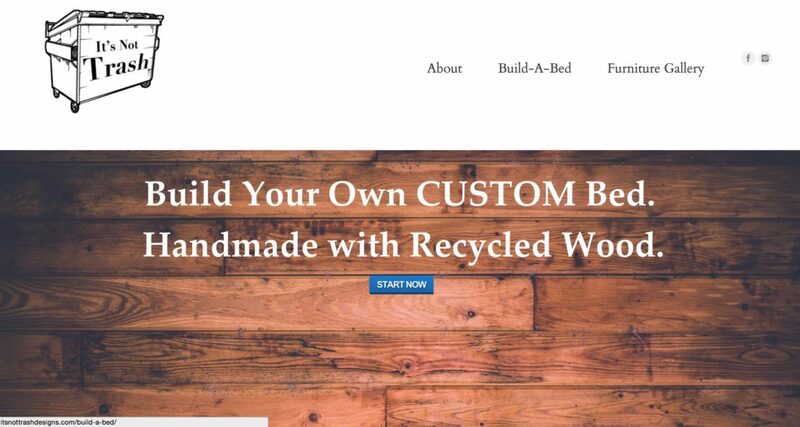 They needed to build a site where users custom build their dream bed from scratch, choosing everything from wood stains to night lights. We built their site in WordPress, they built our entire bedroom furniture set out of wood from a collapsed church in Boulder Creek, and we’ve both never looked back!